Mary Cleary is Deputy CEO of the Irish Computer Society/ICS Foundation and Chair of the CEN Workshop on ICT Skills. She oversees ICT professionalism and digital inclusion policy and initiatives for ICS, coordinating the Irish Digital Jobs and Skills Coalition and advising the ICS CIO Forum on professionalism and Continuous Professional Development for all domains, with particular emphasis on eHealth. She holds a Master's Degree in Education, and has extensive experience of ICT professional programme design and implementation. She has worked on several national education initiatives, promoting ICT as a teaching and learning tool and is an active member of ECDL Foundation Expert Working Group. 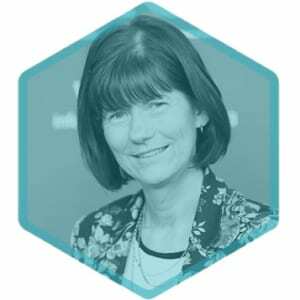 She manages education outreach initiatives, as well as the professional and advocacy activities of HISI (Healthcare Informatics Society of Ireland), and delivers 8 national conferences annually. She is a delegate to the NSAI (National Standards Authority of Ireland) ICT SCC, and is Head of the NSAI (Ireland) delegation to CEN Technical Committee 428.s.